Familiar with Irving Berlin’s “The Kick in The Pants?” and “Ve Don’t Like It”? Can you sing Rodgers & Hart’s “How To Win Friends and Influence People”? How about Cole Porter’s “Farming?”	What those titles have in common – along with far more familiar songs like “The Saga of Jenny,” “Oh, What A Beautiful Mornin’,” “God Bless America,” and “Some Other Time” – is the time they were written and the circumstances of that time. The songs were all from the period of World War II and all come from the pens of Broadway writers. 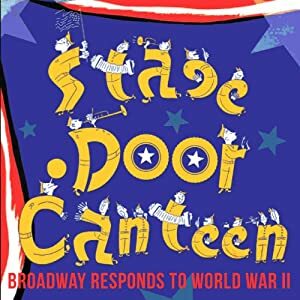 A new CD has just been released by DRG Records titled STAGE DOOR CANTEEN which includes a cross-section of material from those war years – and it is chock-a-block full of delights. The genesis of this recording is a lecture/presentation that I was asked to give as part of the series “Lyrics and Lyricists” and New York’s 92nd St Y. The series takes interesting views of the American Songbook, looked at from a variety of angles – chosen in collaboration between its artistic director Deborah Grace Winer and the ‘curator’ she asks to participate. She and I chose the interaction between Broadway and World War II – not just songs that were directly influenced by the war, but songs that were created for Broadway and by Broadway writers during that extraordinary time. Many classics came out of this period, and several are included here: in addition to those listed above, there is also “All The Things You Are,” “The Last Time I Saw Paris,” “Oh, How I Hate to Get Up In the Morning,” “Wait Till You See Her,” and “Praise The Lord and Pass The Ammunition.” Because I chose to work with Andy Einhorn, an extraordinary young musical arranger whose name you find cropping up more and more in Broadway credits, the musical illustrations of my talk came out better than I could have expected. Andy and I were able to assemble a first rate group of singers – Anderson Davis, who played Lt. Cable in the tour of the Lincoln Center Theater SOUTH PACIFIC; song-and-dance man Jeffry Denman, who created one of the leads in WHITE CHRISTMAS and appeared in THE PRODUCERS; Brandon Victor Dixon, who was seen Off-Broadway in THE SCOTTSBORO BOYS and was Tony-nominated for THE COLOR PURPLE; Debra Monk whose Tony Awards and Broadway credits are numerous; and Betsy Wolfe, soon to appear at Encores! in MERRILY WE ROLL ALONG and was also seen as one of Sheri Rene Scott’s ‘back-up’ girls in EVERYDAY RAPTURE. They sang the songs so well, and the arrangements were so good, that I decided I had to find a way to capture the performances. Hence STAGE DOOR CANTEEN on DRG Records. I had two other inspirations for choosing the topic of Broadway and World War II: first, as Chairman of the Board of the American Theatre Wing, I have long been fascinated by two of its wartime programs: The Stage Door Canteen and The Lunchtime Follies. The former is fairly well known. It was a gathering spot in the Broadway theater district where servicemen could come for some entertainment and refreshment, served by members of the Broadway community. Famous people participated – Marlene Dietrich, Ingrid Bergman, Alfred Lunt and Lynne Fontanne are among the many celebrities who were photographed manning the food lines. The Lunchtime Follies is a lot less known. The idea was for Broadway writers to create explicitly war-related songs and sketches which would be performed during meal breaks at munitions factories around the New York metropolitan area. The roster of writers for The Lunchtime Follies was extraordinary; we chose to use contributions by Kurt Weill, Oscar Hammerstein II, Harold Rome and even poet Archibald MacLeish. Second, as the representative for the Irving Berlin copyrights, I was intrigued by THIS IS THE ARMY, the Broadway show that Berlin wrote for World War II. The show was performed by servicemen and was about Army life, and the unit established to mount it was the first integrated unit in the U.S. Army. 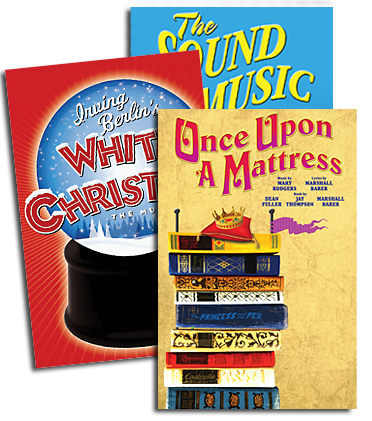 Some songs from the show are still well known – “Oh, How I Hate To Get Up In The Morning,” “I Left My Heart At The Stage Door Canteen,” for example – but we found several really good ones that aren’t. They tell a tuneful story of just how direct the connection between song and the war could be. That is where “The Kick in The Pants” and “Ve Don’t Like It” come in. I am very proud of STAGE DOOR CANTEEN. I have often said that one of the reasons I love my job is that no two days are alike. When I was asked to participate in the Lyrics and Lyricists program, I had no idea what the connection might be to my day job. Using material represented by this office was not part of the agenda when Andy Einhorn and I first sat down. It was no surprise, however, that by the time the program was presented at the Y, there were many Irving Berlin, Richard Rodgers, Lorenz Hart, and Oscar Hammerstein songs, all of which we do represent and many of which are unknown. There are also songs by Cole Porter, Ira Gershwin and Kurt Weill, some of whose work we represent as well. I hope you will enjoy STAGE DOOR CANTEEN as much as I enjoyed creating it.